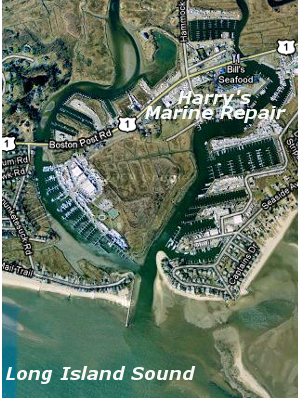 Harry's Marine Repair is located on the Patchogue River with quick access to Long Island Sound. With 76 secured slips accommodating pleasure vessels from 12' to 45' (max beam 13' 10"), we are one of the smaller, casual-style marinas. Our staff will gladly assist you with any boating questions you might have. Our facility features sturdy natural wood docks and a variety of amenities. We are conveniently located close to the I-95 and Route 9. 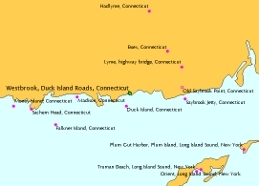 Boating supply stores, shopping, restaurants, and the beach are all within walking distance.